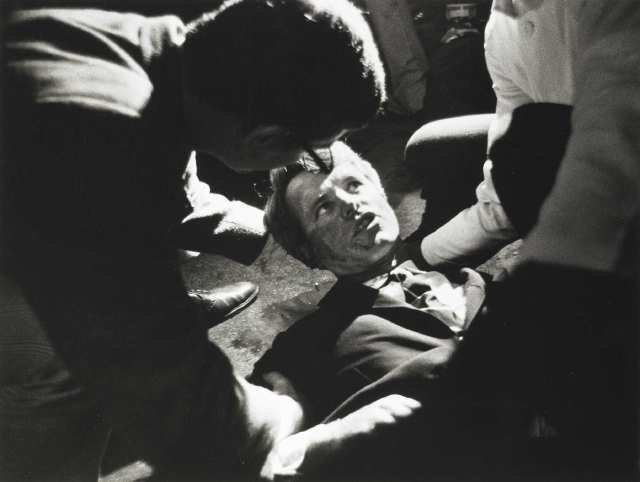 2012 is quickly resembling 1968, a year when the American societal fabric was nearly torn asunder and the world teetered on the verge of chaos. 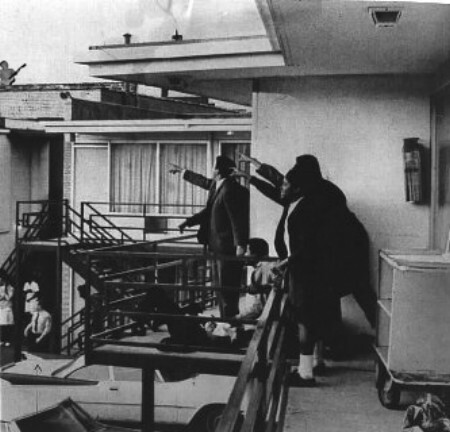 That was the year when both Robert F. Kennedy and Martin Luther King were assassinated, the latter spawning massive riots across the country and a shootout between the Black Panthers and the Oakland Police, as well as another shootout between black militants and the Cleveland Police. 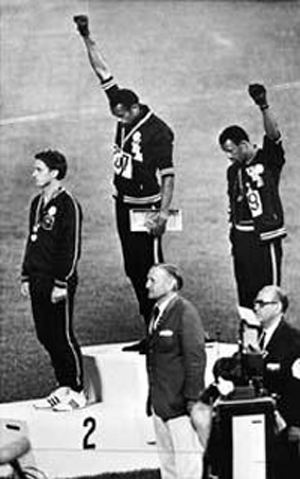 1968 was the year where America was first introduced to the raised fist of the Black Power movement at the Olympics, black militancy on campus as well as the emergence of a viral anti-Vietnam war movement. In 1968 the Zodiac killer was on his murderous rampage around California while the Manson clan had just moved from Death Valley to the the Los Angeles area, preparing for their own campaign of murder and terror, ultimately hoping to trigger a race war. 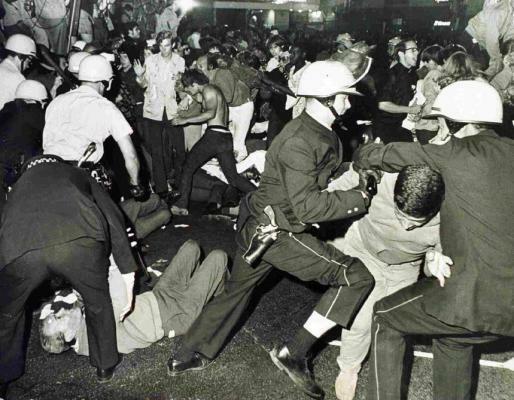 In 1968 the Democratic Convention in Chicago turned into a riot by anti-war activists. 1968 was the year that Congress voted to take the United States currency off of the Gold Standard while also passing the Civil Rights Act. There were coups and revolutions in Iraq, ushering in Saddam Hussein, Peru, and Panama. In 1968 the U.S.S. Pueblo was seized by North Korea, its crew captured, tortured and starved for nearly a year before being released. The U.S.S Pueblo remains captive in North Korea as of this writing. 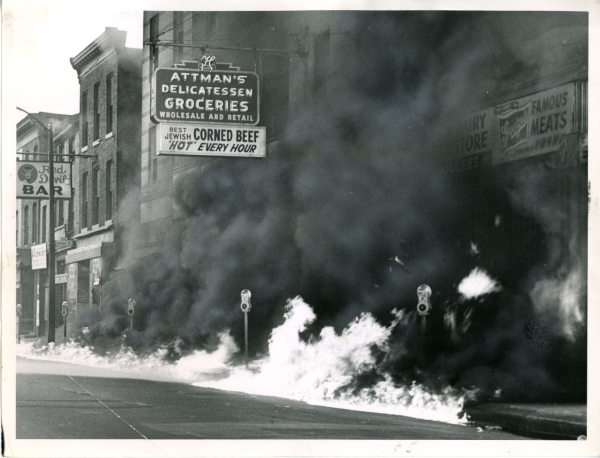 1968 was the year of the My Lai massacre and the Tet Offensive, which was misreported by Walter Cronkite as an American loss, which it was not, but uncle Walter provided additional fuel to the anti-war movement, which had become increasingly violent, with groups like Obama benefactor Bill Ayers’ Weather Underground conducting violent operations across the country. 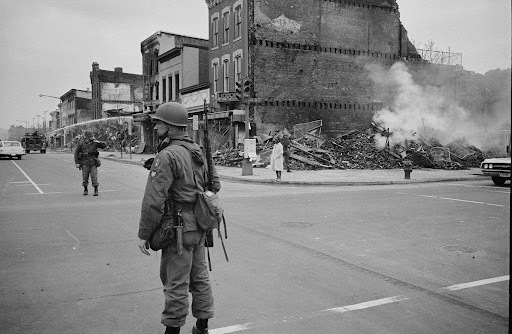 1968 was a dreadful and frightening year, so much so that the American president, Lyndon Johnson, refused to run for re-election. 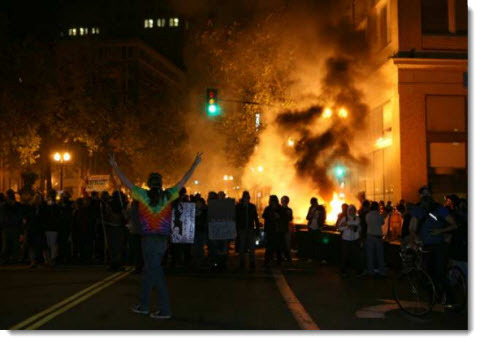 Now, the 44th President of the United States, Barack Hussein Obama, is bringing about the reprise of that chaos with his launching of the Occupy movement, his orchestrated attacks on business, religion, conservatives, the military and is fanning the flames of racial hatred and societal upheaval. 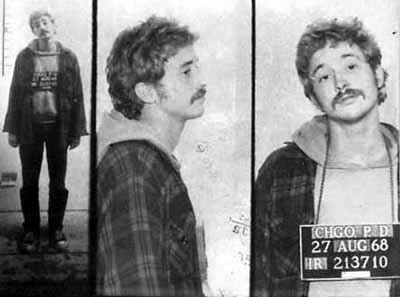 He is the spawn of radicals, the creation of radicals and is the duly elected representative of Weather Underground living at 1600 Pennsylvania Avenue. Expect for him to throw verbal accelerant on the regrettable Trayvon Martin killing in Florida any day now, especially since his racist Attorney General has injected himself into that situation. That Trayvon Martin rallies are beginning to spring up in cities across the country shows this to be a coordinated outrage from Obama’s central planning committee. These are foreboding signs for 2012. And just like 1968, 2012 is a Presidential election year, with two nominating conventions scheduled for Charlotte for the Democrats and Tampa for the Republicans. 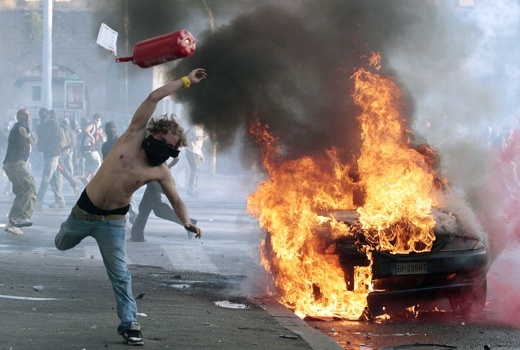 Be ready for upheaval, chaos, and very likely, violence at one or both. President Obama was groomed to hide his radicalism as a means to garner trust and infiltrate the system in order to destroy it from within. The more chaos, the more upheaval, the more division and vitriol, the better for Obama. Not only does he not mind it, he fosters it. He creates it. He thrives upon it. His only chance of success is to create mayhem which he has been trained to do his entire life. And elsewhere in the world he is an ally with islamists in Egypt and Libya, while looking the other way at Syria and Russia’s recent infusion of its troops into that country in order to prop up that regime. Iraq has spun back out of control because if his insistence of an early exit and his weakness. Afghanistan is a total mess. Iran continues to develop its nuclear capabilities while scoffing defiantly at the weakened western world since there is no strong leader in America, an America that now seems to not only be too cowardly to confront Iran, but an America that now is an enemy of Israel. 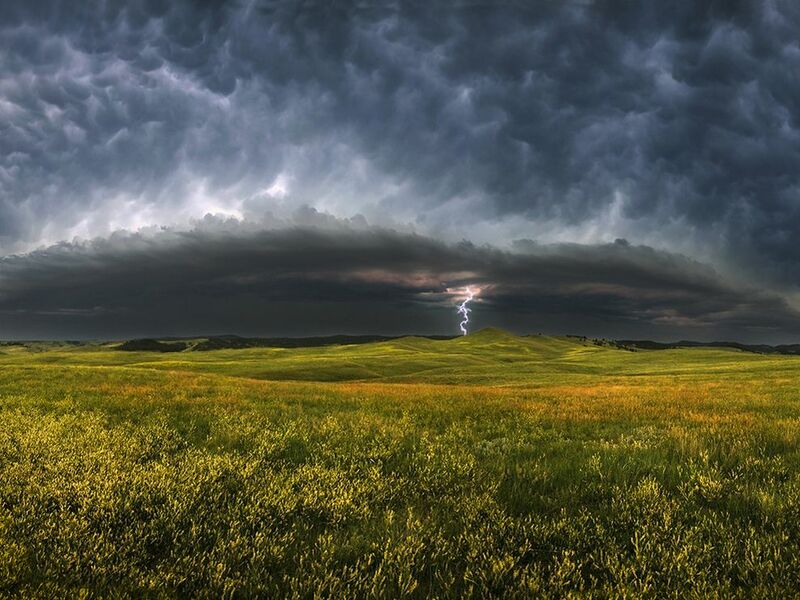 There are dark storm clouds building and an ominous feeling is brewing. I sense a cataclysm this year. I certainly hope I’m wrong. But I doubt it. ‘No work. No school. No chores. No shopping. 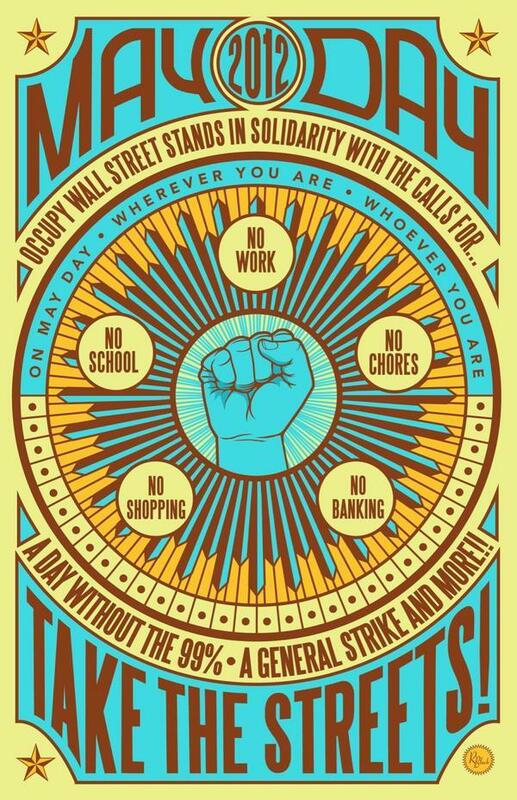 No banking.’ In other words, for the Occupy crowd it’s a day like any other. 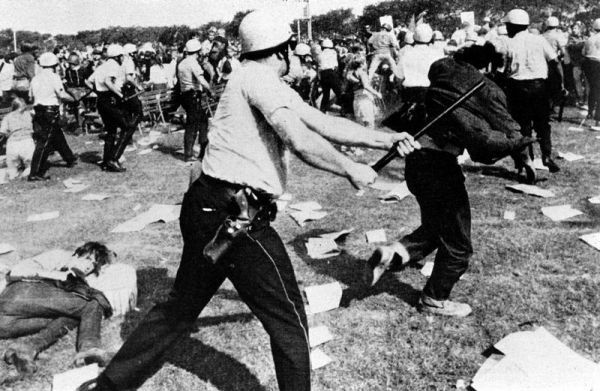 This new, supposedly spontaneous grass roots movement isn’t new at all. It’s origins date back to the 19th century and has been known as the International Workers Day (aka May Day) for nearly two centuries. 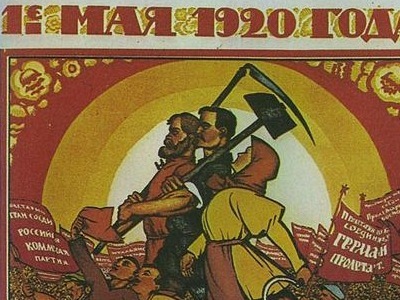 Here’s the Russian May Day from back in 1920. 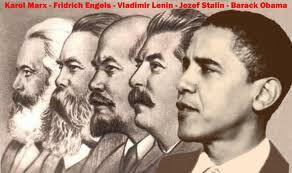 Notice the hammer and sickle. 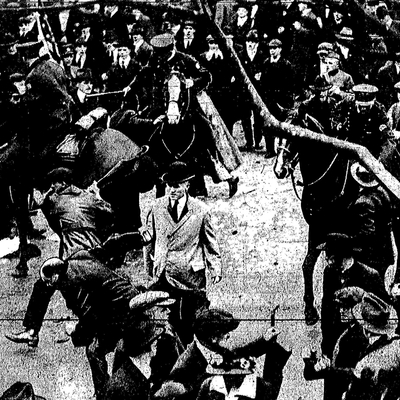 Then there was the Cleveland May Day riot of 1919. So, there is nothing new here. These are just Chairman Obama’s anti-capitalist foot soldiers executing the master plan, bringing about fundamental change to America. Image above from Free Republic.